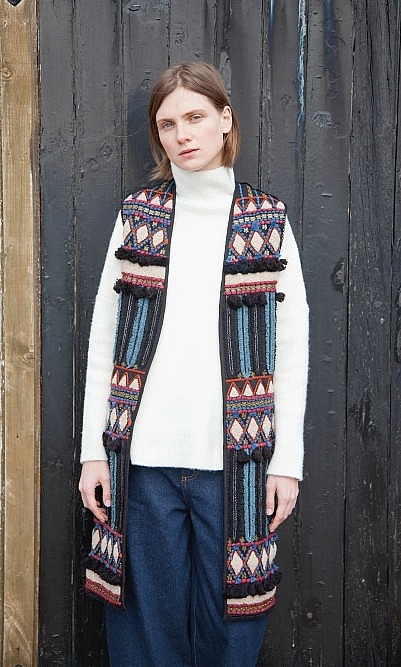 Crewel-work gilet, embroidered with beads and tassels. Plain quilted back panel, lined with soft plush. L100cm. Dry clean. Model is wearing a UK10.